You witnessed it in theaters and now you probably own it on Blu-ray, so why not put Star Trek on your iPhone? 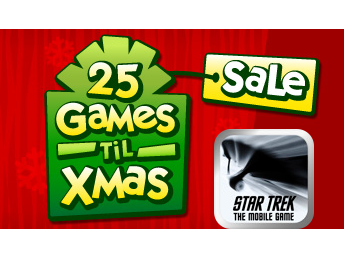 Star Trek, the game, is today's EA 25 Games 'Til Xmas sale deal. 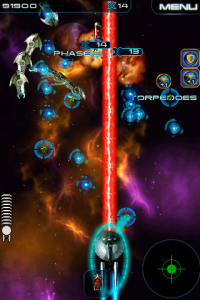 Star Trek for the iPhone and iPod touch is an officially licensed game based on the new film that puts you at the helm of the USS Enterprise as you attempt to seek and destroy your enemies. Star Trek features special in-game appearances from Mr. Spock and Captain Kirk to help assist you in your journey. You will also be interacting with all 3 races from the Star Trek universe: The Klingons, The Romulans, and The Cardassians. The game also includes music from the original Star Trek soundtrack. The gameplay consists of top-down arcade shooting action that will allow you to control the USS Enterprise via the iPhone’s accelerometer, a virtual joystick, or touch and drag. 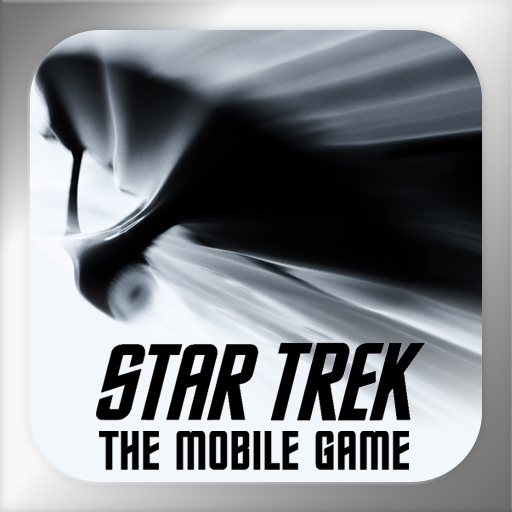 Star Trek first hit the App Store in May for $4.99, but has since settled in at $1.99. It is now available today and today only for $.99.